This is a one of a kind wearable art piece handpainted by Dana Marie. Each piece is an original miniature painting. 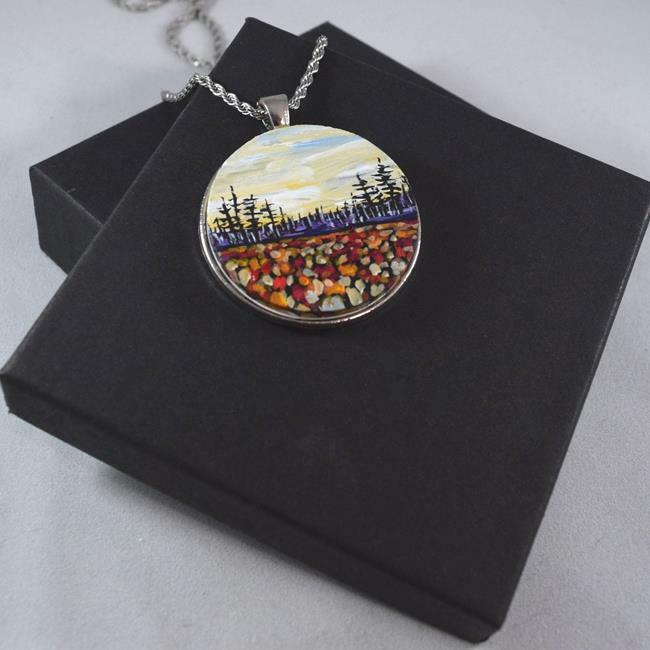 Original Acrylic Painting Size 1.5"
Pendant: Painting on 1.5" Wood piece pendant.